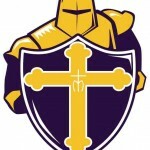 The Archbishop Riordan Knight is a Custom Mascot for Archbishop Riordan High School in San Francisco, CA. 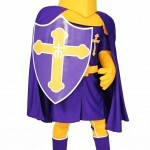 The custom mascot is privately owned and unavailable for public rental. 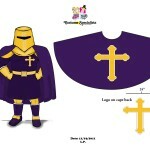 The gallery features the development process for a custom mascot from original art to the finished mascot.